206 pages | 10 B/W Illus. The recent rise in reported public security issues in China is one of the most repeated concerns amongst the Chinese authorities. During the past 30 years of reform in China, stability maintenance as a governance strategy has in fact laid a solid foundation for the overall development and growth of the nation. However, it remains to be seen whether this approach can sustain economic growth as well as political stability in the near future. This book examines this policy of stability maintenance, as adopted by the Chinese government, in different social circumstances. Using a variety of examples, including hospital disputes, incidents of environmental pollution, food safety issues and disaster settlements, it takes a multi-disciplinary approach, using empirical data to assess the true picture of contentious politics in China. 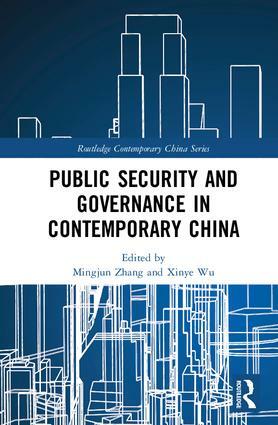 Although stability maintenance has played a major role in confronting many of the serious challenges posed to China’s public security, ultimately, the book concludes that as a governance strategy it can only be short-term and will surely be replaced, due to its high costs. Using case studies from across China, this book will be of interest to students and scholars of Chinese Studies, Political Science and Sociology. It will also appeal to journalists and policy analysts with an interest in Chinese politics and society. 2. How Contentious Actions Become Violent? Mingjun Zhang is a Professor at East China University of Political Science and Law. His research interests include contemporary Chinese political parties and politics, and the history of the Cultural Revolution. Xinye Wu is a Professor at East China University of Political Science and Law. His research interests include contentious politics and NGOs in China. Fang Fang is an Associate Professor at the School of Foreign Studies in East China University of Political Science and Law. Her research interests include global governance and security discourse.